The word vacation often becomes synonymous with the word indulgent. By that we mean, when you're out of office and in that unspoken 'Do Not Disturb' mode, you're looking to treat yourself. And sometimes, treating yourself is that much better when you never have to penny up once you arrive. The term 'all-inclusive' may not have rung home to you before, but it's time to think again with these ridiculously luxurious retreats fit for every type of getaway that are—you guessed it—all-inclusive! Eco-chic Villa Manzu will amaze even the most seasoned travelers. Located in the posh Papagayo development, this expansive eight-suite estate cossets guests with every comfort imaginable, including several stunning beach options, two heated pools, an outdoor spa and a 22-member team of butlers, chefs, servers and chauffeurs. Sink into one of the many hammocks scattered throughout the secluded property or venture off-property on any and every adventure imaginable. The cuisine, masterfully prepared, is complemented by an impressive cellar and fully stocked bar. Villa Manzu’s signature is its all-inclusive experience – designed to provide guests with everything one could ever want and more! Set on the picturesque Spanish island of Mallorca, Son Bunyola offers seaside serenity and sumptuous accommodations. 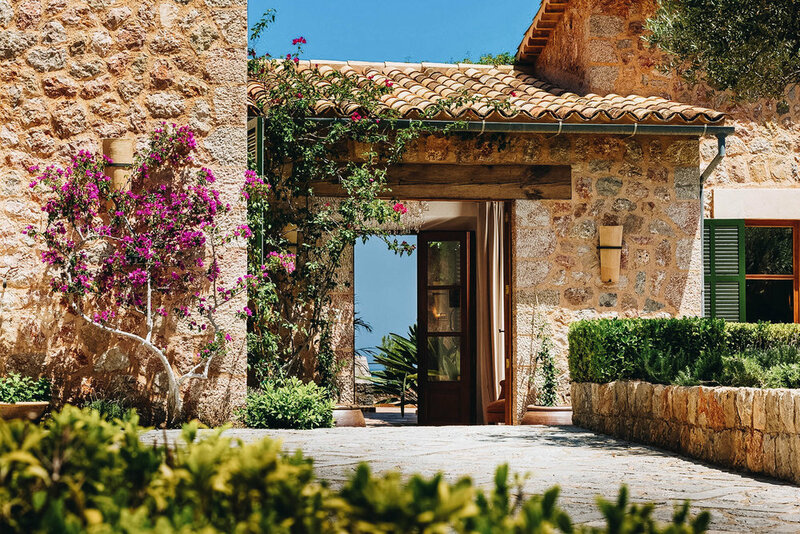 Sir Richard Branson’s stunning 680-acre private estate includes three villas available for exclusive hire, Sa Punta de S’Aguila, Sa Terra Rotja and Son Balagueret. With five, four and three bedrooms respectively, each abode is unique in style and character. All villas have been designed with communal experiences and socializing in mind, featuring private heated pools and a plethora of activities. A dedicated private chef is on hand to cook fresh, flavorful meals made from local fare, and the island’s best-connected concierge team will plan island activities and attend to any and every need. Set in Boynton Canyon, Mii amo, a destination spa is a contemporary, upscale all-inclusive resort comprised of just 16 rose-colored, abode casistas surrounded by spectacular mountain views. Offering highly personalized spa “journeys” for three-, four- or seven-nights, Mii amo promises a transformational experience and was made for a girls getaway thanks to it’s physical and emotional healing. Nineteen spa rooms surround a heated pool with stunning views of the canyon’s red rocks in every direction. Inside, the cozy spaces will envelope you and immediately help you find your zen. The health-conscious dishes are downright delectable, quite unlike the food you’ll typically find at any other spa. Mii amo sits on the same property as the larger Enchantment Resort, meaning you’ll have the privacy and intimacy of a small spa with the benefit of accessing more resources, like guides for exploring the canyon itself! 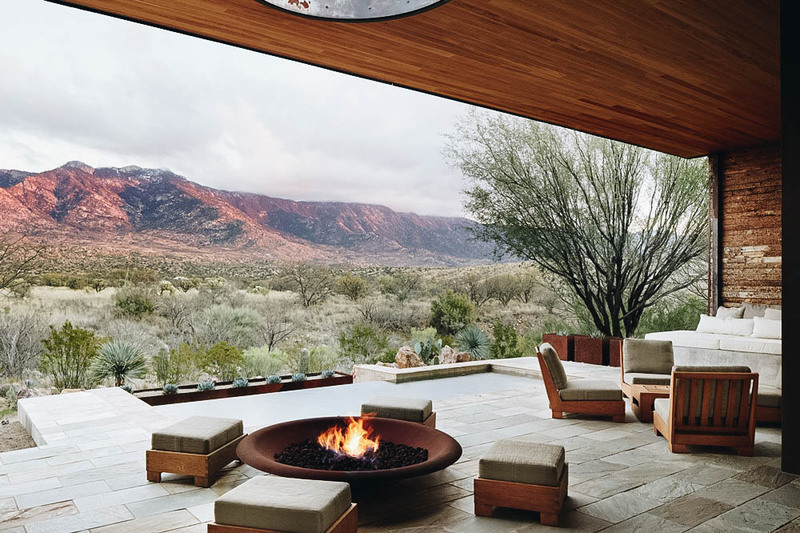 Situated in the warm shade of the Santa Catalina Mountains in northern Tucson, AZ, on 400 acres of idyllic land, Miraval is a top-rated all-inclusive destination resort and spa. Mirival features gorgeous accommodations, contemporary in style and warm in every way possible. Offering an array of dynamic programs, one-of-a-kind luxurious spa treatments, flavorful healthy cuisine, as well as an expert staff of renowned wellbeing specialists, Miraval will slow you down for the present time and help you live life in the moment. Grab your best friends, moms, or sisters and escape to Miraval for an unforgettable retreat. With an array of year-round packages to choose from, an inclusive experience awaits. All packages include all meals, airport transfers, unlimited participation in daily activities, newly renovated accommodations and more. Here’s an offer you can’t refuse: An exotic stay at The Brando, the former Polynesian home of Marlon Brando. The only true all-inclusive luxury resort found within the islands of Tahiti, the eco-friendly Brando fuses carefree luxury with cutting-edge technology in 35 welcoming villas on private beaches with plunge pools. Set within a biodiverse natural sanctuary, the resort offers naturalist-led tours and a professional-led photo safari. You can learn Polynesian dance or how to play the ukulele, or you can take part in plentiful watersports. Holistic spa treatments are inspired by ancient traditions. Emirates One&Only Wolgan Valley is nestled within the Greater Blue Mountains Area, a World Heritage-listed, a short drive from Sydney, and is set on 7,000 acres of carbon-neutral conservation and wildlife reserve. This resort is committed to conserving its natural setting and heritage. Experience nature in an array of outdoor pursuits led by the resort’s team of dedicated Field Guides and return to your villa to relax in a private pool, the perfect combination of luxury and a quintessential bush experience. Your rate includes three meals daily, including select local beers and wines, plus two on-site nature-based activities per day. 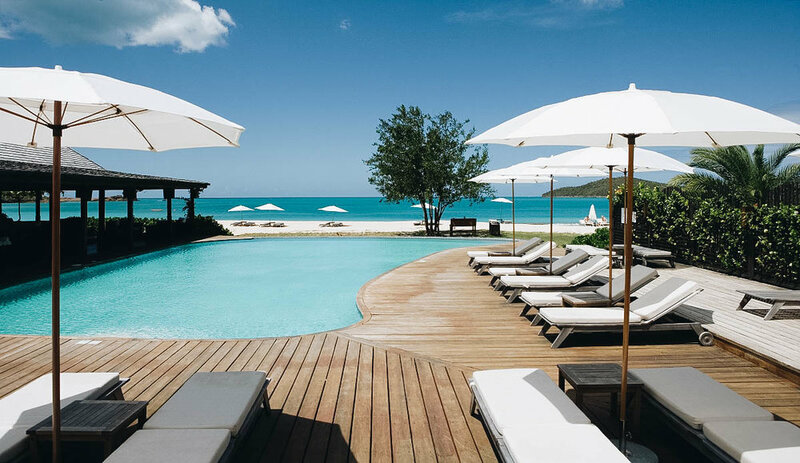 Tropical foliage and pristine white beaches characterize Jumby Bay Island, a secluded, all-inclusive Caribbean hideaway accessible only by boat from Antigua. Named for the playful spirits believed to roam the West Indies, Jumby Bay Island is sure to enchant. Situated on a 300-acre private island with two white-sand beaches, the resort offers plenty of playful diversions from snorkeling and sailboarding to bike rides and sunset cocktail cruises — all gratis. Choose from 40 luxury guestrooms and a collection of 16 villas and 17 estate homes. Blending seamlessly into the island’s landscape are four restaurants: The recently completed Estate House serving colonial-era-inspired fare, the beachfront Verandah Restaurant, the oceanfront Pool Grille and the authentically styled Beach Shack. Cosseted away at Hermitage Bay, an upscale colony of 30 suites discreetly spread over 17 acres of lush beachfront, you’ll forget all your cares and enjoy a host of all-inclusive amenities. The airy suites, built with sustainably harvested tropical woods, feature prime ocean views and a rustic charm, with outdoor showers, freestanding tubs and canopy beds. Take a windsurfing lesson or a Hobie Cat ride out on the protected bay, then return to a feast of organic, locally sourced fare. The holistic spa offers Reiki, reflexology and chakra-balancing treatments. Twin Farms, a member of Relais & Châteaux, is for those who have long wished for a private country retreat in New England. This pastoral paradise is set on 300 acres of verdant hills, fields and forest and offers 20 individually designed accommodations. There's the rustic Log Cabin, with its river-rock fireplace; the Treehouse Cottage, with its Adirondack twig accents; and the surprising Meadow Cottage, decorated in vibrant Moroccan style. Outdoor activities range from hiking, biking and fly-fishing to snowshoeing, sledding, and downhill and cross-country skiing. Golf, gallery-hopping and shopping in Woodstock are all nearby. Amangiri (which stands for “peaceful mountain”) is set in Utah’s stunning canyon country and incorporates the beauty of the Four Corners desert in its design. The central Pavilion, built around a dramatic swimming pool, houses the Living Room, Gallery, Library and Dining Room/Cellar. Amangiri’s 34 suites, entered via a private courtyard, offer private plunge pools and rooftop terraces, as well as modern, airy living, dining and sleeping areas with white-stone floors that echo the area’s natural stone. Be sure to experience the Aman Spa, with its water pavilion, Pilates studio, candlelit rooms and outdoor treatment terraces. Your rate at this gorgeous haven includes almost everything for two: breakfast, lunch and dinner all with non-alcoholic drinks on the house; complimentary transfers from the nearby Page Municipal Airport upon request; guided group hikes; fitness classes; and use of the spectacular facilities at no extra cost. 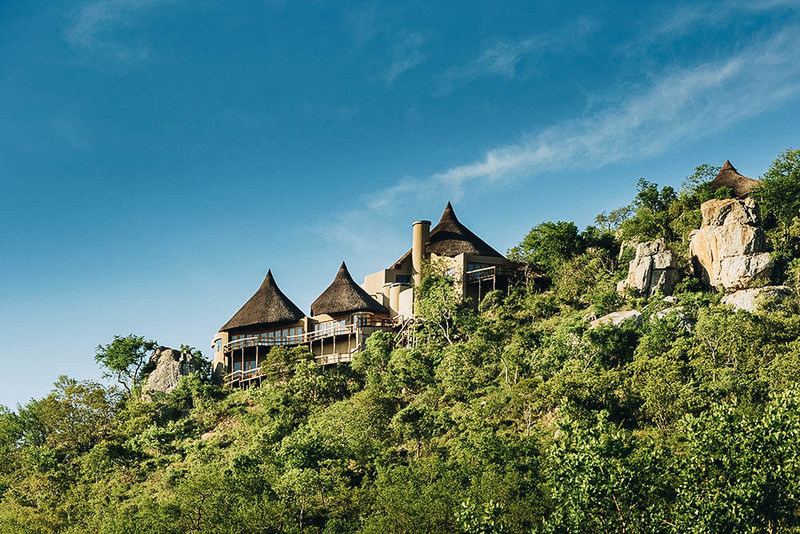 As do all of Sir Richard Branson's resorts, Ulusaba Private Game Reserve, with 21 rooms and suites, prides itself on offering a completely personal and exclusive experience. Here on the edge of the vast Kruger National Park, you'll track the Big Five in open vehicles while knowledgeable guides educate you with information about the animals and their habitats. And although you're deep in the African bush, you'll experience the five-star luxury you would expect at a fine boutique hotel — from world-class spa treatments in the Aroma Boma Spa to remarkable cuisine and fine wines shared with other fortunate guests. Strikingly located where golden sand beaches embrace turquoise seas, Grand Velas Los Cabos welcomes you to a world of uninhibited luxury. This luxury Los Cabos resort offers the next generation of all-inclusive amenities and facilities, with dramatic ocean views and unique spaces throughout. Grand Velas Los Cabos features a variety of gourmet restaurants; a coffee shop; a mezcal and tequila tasting room; wine-based features, inspired by Mexico’s wine region; a spa with hydrotherapy facilities; a fitness center with programs and personal trainers; three oceanfront pools; and a Convention Center with 16,370 square feet of flexible event space. Families will enjoy recreational activities, as well as a Teens’ Club and Kids’ Club. Concierge service is available 24/7. 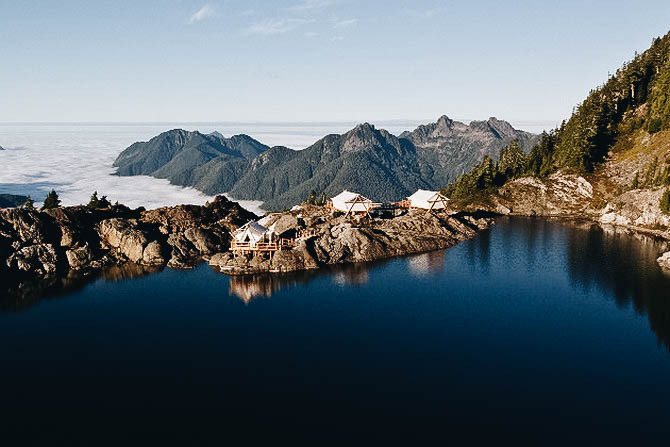 Adventurers hoping to restore their nature deficits in luxury will love remote, refined, remarkable Clayoquot Wilderness Resort — one of the world’s finest eco-destinations. Experience “luxury gone wild” at this Relais & Châteaux all-inclusive eco-safari retreat. Situated in a UNESCO-designated World Biosphere Reserve Area, and fashioned after the great camps of the golden age of travel, 25 white-canvas prospector guest tents promise every comfort, including wood stoves, full and en suite bathrooms, antique furnishings, opulent linens and down duvets on heavenly king beds, oil lamps, candles and twinkling silver. A timber cookhouse, Healing Grounds Spa, waterfront lounge and 600 acres to explore complete the offering. 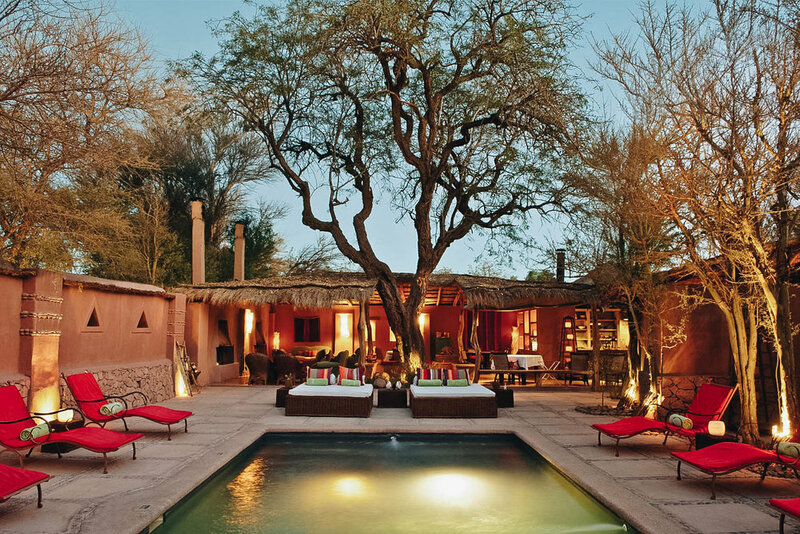 Awasi Atacama, a member of Relais & Châteaux, is an oasis in the dramatic and beautiful Atacama Desert — a spectacular base for exploring the desert’s otherworldly environs. Relax in one of ten suites made of adobe, wood and stone; each features a private patio with an outdoor shower and solarium, rustic custom-built furniture and abundant open space. Each room is assigned a 4x4 vehicle and a private professional guide to accompany you on all-inclusive outings to the area’s volcanoes, geysers and dry salt lakes. Return to delicious fare in the hotel restaurant, which features local foods such as quinoa and purple potatoes. Vast skies, towering mountains and endless waters are your closest neighbors at the enchanting all-inclusive Titilaka – Relais & Châteaux retreat on Lake Titicaca. Titilaka’s 18 Lakeview rooms are set on a private peninsula jutting into the world’s highest navigable lake and nexus of Inca mythology. Venture out into the legendary landscape to view numerous Inca and pre-Inca ruins, hike ancient trails, explore the lake and study the mesmerizing night sky across 14 complementary excursions; additional opportunities to visit the lake’s historic island — such as the floating Uros, made entirely of reeds, and vibrant, traditional communities. Deep in the heart of Belize’s jungle, Ka’ana marries bespoke excursions with boutique accommodations. It’s an oasis of style, culture, personalized service, and modern amenities for well-seasoned adventurers and tastemakers alike. The villas are modern-minimalism at its best, each with their own private plunge pools. There’s so much to love from the lush garden walkways to the two-acre organic garden, which provides ingredients for the restaurant’s seasonal menu. Set on a secluded cove of white sand beach at the edge of the Caribbean Sea, surrounded by tropical gardens and rainforest, BodyHoliday Saint Lucia is the ultimate wellness getaway. While all-inclusive, this 155-room resort is no one-size-fits-all wellness retreat; rather, each vacation is personalized around the tenets of relaxation, restoration, exercise and diet. Design a program around your yoga practice, weight loss goal or overcoming limitations by, say, rappelling over a river gorge. Set on a secluded, white-sand cove, BodyHoliday offers endless watersports, including sailing lessons. Ayurvedic cuisine comes from the organic garden; a daily spa treatment is included. Enter the legendary Golden Door and step into a new way of living and thinking. Nestled in the mountains of Southern California, this architecturally significant, Japanese-inspired luxury destination transforms 40 guests each week with personalized programs that blend fitness with farm-to-table cuisine, skin care and mindfulness. You’ll receive a weeklong program customized just for you, including a personal Fitness and Nutrition Guide. Join in the Outdoor Challenge, experience yoga in a hillside studio or hike 30 miles of trails on 600 private acres. Located on the pristine white beaches of Riviera Maya, the adults-only UNICO 20°87° offers relaxed luxury as it redefines the all-inclusive category. The stay includes all the amenities of a luxury all-inclusive hotel, plus the unexpected, including select tours, spa & beauty treatments, golf and more. At UNICO 20°87°, you’ll meet modern Mexico at every turn: from the locally-inspired cocktails and elevated cuisines to the art in the rooms. Each bright, spacious room is filled with indigenous inspiration and handcrafted details throughout. Five unique dining options range from elevated fine cuisine, to a casual café setting, each offering a menu inspired by ingredients sourced from nearby producers. Three unique pools and holistic spa and wellness center drive home a sense of relaxed luxury, while exciting pop-up events insert a touch of spontaneity into the experience. Take home a personalized memory with Monogram, the property's embroidery and engraving studio. Customize super-chic hats (no need to choose between a wide-brim or fedora when you can have both! ), put a personal touch on UNICO's signature bathrobe, or even bring an item of your own. The best part? It's included! Spread over 96 acres, The Reserve at Paradisus Punta Cana is a luxe family-friendly resort within a megaresort. The property features sophisticated suites, along with exclusive access to a separate private beach, spa, sparkling new pools for kids and adults, and a VIP lounge. The Reserve also offers a Royal Service experience: butler services, preferential reservations, and a dedicated concierge are all at your disposal to take your all-inclusive stay to unexpected limits. When you book the any of the above properties, you will receive access to a host of exclusive benefits such as discounted rates, complimentary upgrades, resort credits and more! Please contact us for more information.